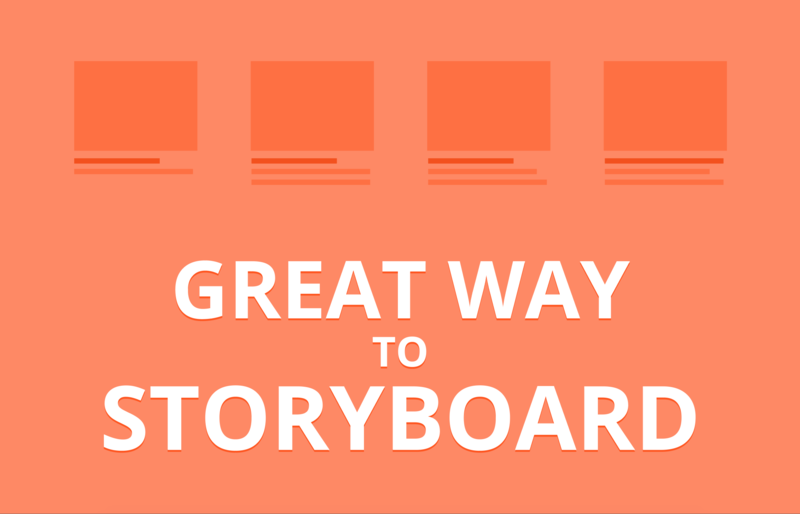 Great way to storyboard - Freelance graphic designer. A great storyboard is the first step in creating a captivating tale. Here are 10 tips for how to create one. Storyboarding can help you to solve a multitude of problems. It’s a great method that enables Studio AKA – and many other creatives – to work with stories that lack clarity and structure, or concepts that need upending in order to work. If you need to tell stories for any kind of commercial work, try storyboarding by following these tips. Starting a storyboard is never easy – all those blank panels! The solution is not to work on one neat sheet of paper. Use small Post-It notes and scribble loads of quick, rough thumbnail ideas. Get all the ideas out of your head in any order you like. Don’t feel that you have to just start at the beginning and work forwards. When you have a bunch of images that are making sense, re-sequence them and discard as many as possible. Move it all about until it feels coherent and in balance. You can do all this with stick figures, then replace everything with your character drawings once you know what you are doing, working back into the gaps any visual embellishments that reinforce the story. One of the most common mistakes with storyboards is creating opening sequences that drag on, eating up panels with establishing shots. Your aim should be to establish a crisp, clear cadence from the outset. You can always turn that single opening panel drawing into a three-minute tracking shot at a later stage. Try not to lock yourself down at the outset. Some animation directors write in sketches, while others sketch in writing. The storyboarding can start as rough cut and paste, with working boards brought to completion by a process of distillation. Everything should remain open to question up until it’s decision time. Don’t get bogged down in process when it comes to inspiration. If you purge yourself of every single random idea you can, at some point the good stuff will make itself known to you and find its place in the storyboard. Then sleep on it and reconsider it all the next day. Working with sequential or character narratives can be challenging. Try a few exercises to help, such as working through four-, nine-, 12- and 24-panel storyboards, each structured around different character narratives or rules. Creating storyboards within restricted panel allowances pushes an artist to make every frame count. When every drawing must justify its inclusion, being able to distil a story into a small number of key frames is liberating. That refined ‘spine’ can then be elaborated into a more complex narrative. Set yourself challenges or ask someone else to set you a challenge to see where you end up. To tell any story, you need to understand your character. One way to do this is to ask the basic questions a scriptwriter always asks, such as: Who is your character? What do they want? What do they do to get what they want? What do they achieve in the end? You might also try defining this in another nine- or 12-panel board as the act of visualising those answers really forces you to examine your character. The surface of a character is described in line or shape on the page, but what really lies within the drawing is given focus by our willingness to engage with what that character can emote and convey. Story, design and biography all influence how a character rises beyond mere mark-making and becomes real to us. It is always easier to know what is amiss with other people’s work than your own, and sometimes giving feedback to others can help you think about your own project in a new way. Vice versa, ask others to give you feedback and try to take criticism in a constructive manner, thinking about how you can channel these comments into your character and story to make it better. Even if you don’t agree with their suggestions, it’s still a good idea to try them out – you might be surprised at the outcome! This article originally appeared in Computer Arts issue 265.